The White Lion dry ice blasting machines accelerate dry ice pellets to about 1000 km/h (ca. speed of sound) and blast them onto the workpiece that has to be cleaned. The following physical factors are essential for the effect of the procedure. The dry ice pellets hitting the component cause a sudden punctual supercooling of the coating or soiling that has to be removed. Due to the different thermal expansion coefficients of the soiling and the workpiece thermal tensions emerge between the two layers. They cause the crucial development of micro ruptures in the soiling layer. The soiling embrittles and downright flakes off. The higher the difference of the expansion coefficients, the higher the ablation rate and therefore the profitability of the dry ice cleaning as a whole. 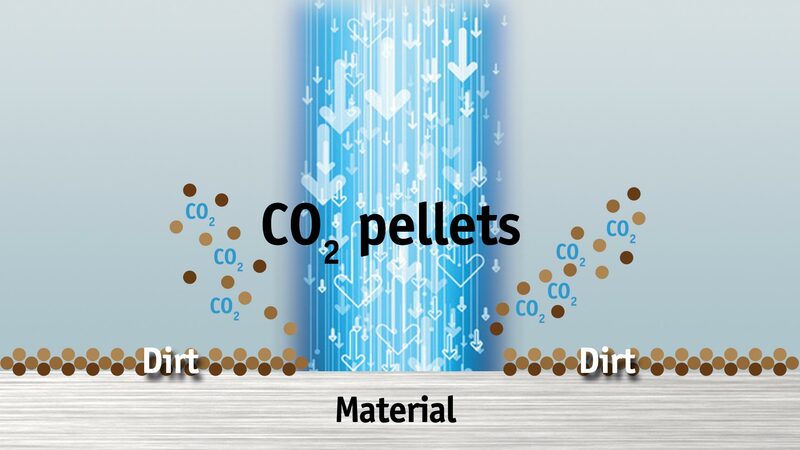 The high kinetic energy of the dry ice pellets do not just lead to their deformation and crushing at the impact on the workpiece, but also to micro ruptures in the soiling layer. 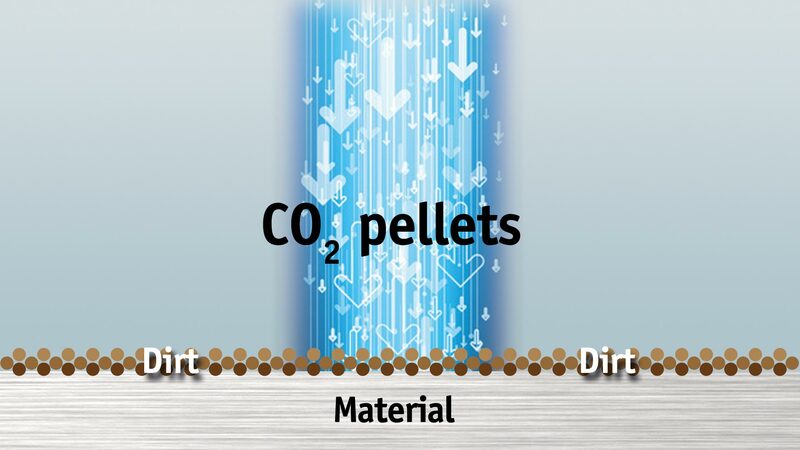 The small dry ice particles penetrate deep into the ruptures and subvert the material layer that has to be removed. The dry ice particles, that entered the ruptures now suddenly sublime (transition from solid to gas phase). By the increase in volume a 700- to 1000-fold the layer that has to be removed gets seperated from the workpiece. The dry ice blasting medium is now gaseous. Im Gegensatz zu traditionellen Strahltechniken ist das Trockeneis-Strahlverfahren ein nicht-abrasives Verfahren. This means, that no wear emerges on the workpiece. The surface feels like its new. What’s a common way to clean something? Often a combination of wet solvents and mechanical force is necessary to remove adhesive grime. No matter if water or chemical solvents are used – pollutants remain that need to be disposed of. Additionally, chemical solvents often pose a danger by themselves. Water can cause mould stains, rust or short circuits. Chemical solvents can emit fumes that are harmful to human health and also corrode the cleaned surface. The difficulty increases with surfaces made of different materials. Motors, machines, circuit boards or electrical switchboards are made of a variety of different materials: glass, synthetics, metal – panted and unpainted, glass fibre, rubber and much more lay tightly packed in a motor compartment. 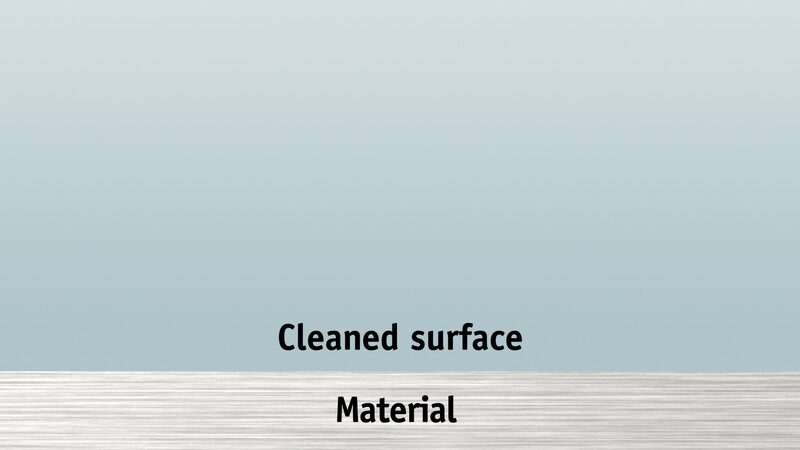 Conventional methods either leave parts uncleaned or risk damage at other parts. Dry ice blast cleaning is a challenging procedure for such special cases. Where harsh, rough or potentially dangerous solutions combine, dry ice blast cleaning is the technique of choice. The fields of application are practically endless when it comes to dry ice blast cleaning. Derusting machines: In many cases the only way to clean a machine is to disassemble it completely and clean each part individually. Thus for many strongly contaminated systems this often meant an early scrapping, because the effort exceeded the return. A dry ice blast cleaning means that the system can stay assembled. Damages occurring during disassembly and the consequent reassembly are reliably avoided. Additionally, with a dry ice blast cleaning dirt is prevented from entering during the disassembly of the machine. Graffiti on house walls, trains and exposed concrete: No other method is as gentle to the surface as a dry ice blast cleaning. A dry ice blast cleaning can even remove graffiti depending on the colour spray used. During this process, deeply engrained dirt, persistent moss and dust are also removed. The result is a structure that all but resembles its new condition. Here at White Lion we understand dry ice blast cleaning. 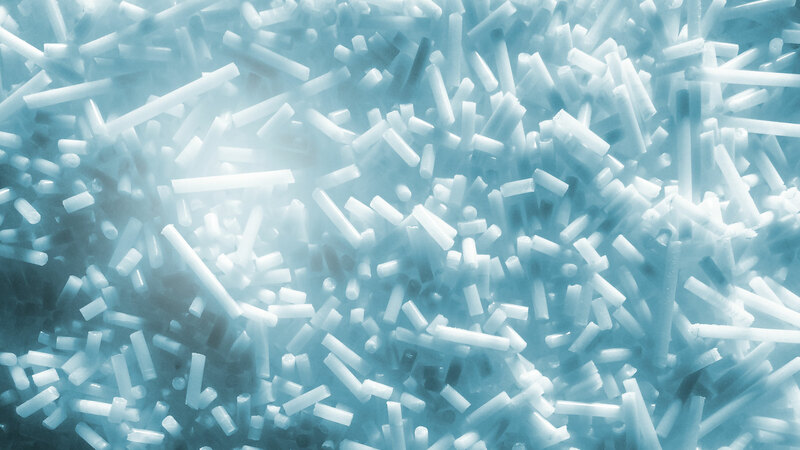 As an experienced service provider in the industry we have used all of our knowledge and skill to produce our own dry ice blast cleaning machines. Today we can offer the full package in dry ice blast cleaning: no matter if it’s consulting, machine sales or services for urgent cases – our goal is a professional and comprehensive offer for our clients. May we impress you with a demonstration? Give us a call and we’ll gladly advise you.